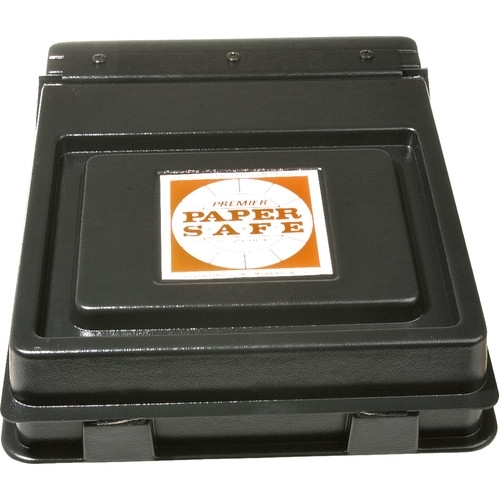 The Premier 8.5 x 11" Paper Safe offers light-tight protection for film and paper. 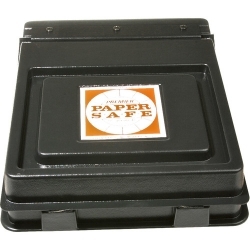 Ideal for storage of all light-sensitive materials-color paper, films, metal plates, etc. Holds up to 200 sheets of 8.5 x 11" paper. No more fussing with frayed cardboard boxes. Touch Fastener secured. Exclusive "Tilt and Tap" feature fans paper for easy single-sheet removal. Rugged ABS plastic-no fear of damage from refrigeration or freezing.